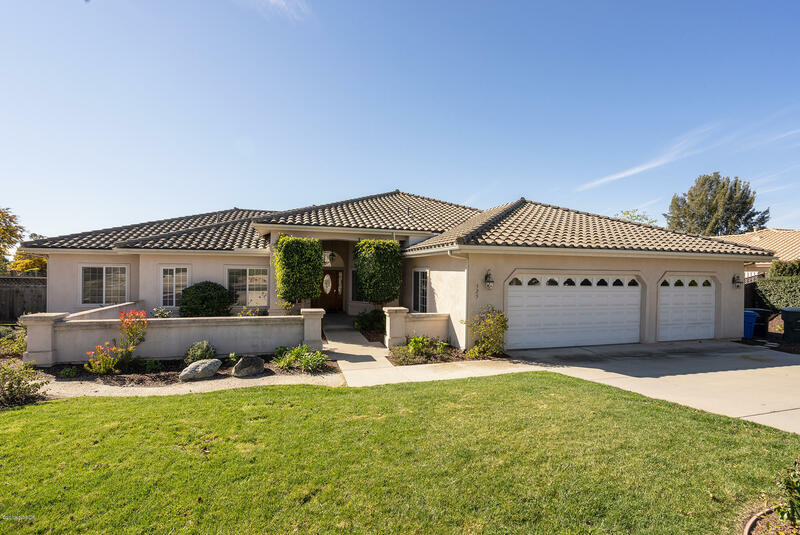 Peaceful & quiet Nipomo neighborhood for this beautiful 4 bedroom, 3 bath single level home! 2934 Sq Ft home with 13 foot ceilings provides a grand entry. Large kitchen with center island and bar open to the family room with fireplace and cathedral ceilings. Separate Formal Living room, and formal dining room. One bedroom and bath on the opposite side of home for excellent privacy. Over-sized laundry room with plenty of counter space, utility sink, & storage.This home offers Solar which is owned by Sellers, full Central Air, water softener, R/O unit, and wired for alarm system. Nice sized 3 car garage. Wonderful front lawn landscaping, and on this 19,602 Sq Ft lot, there's plenty of room for entertainment, gardening, etc. Enjoy your spa right from your master bedroom suite. Don't wait! Directions to Property: Tefft Street West to Tejas Place, just past Osage on left side.